The Web site of the anonymous email sender info@vagopnow.org is still offline. 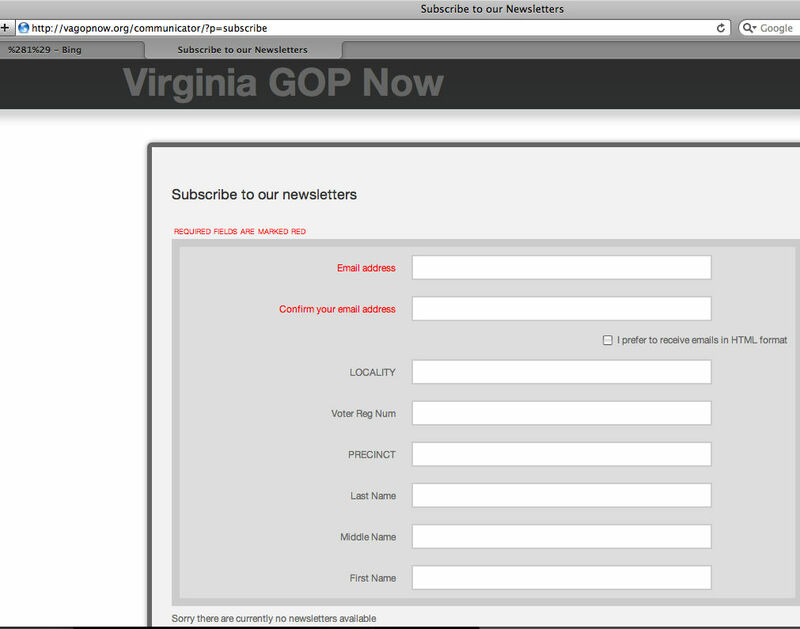 Having sent their last anonymous attack email to Virginia Republicans on July 17, 2014 – the 13th since first spamming their way into our hearts on January 12, 2014 – the consortium of unhappy RPV mainstreamers has been silent for months, and their newsletter Web service portal is no longer online. Personally, I always figured this sad effort came from the Burgers With Bill wing, and they would thus have as long a run as his political future. 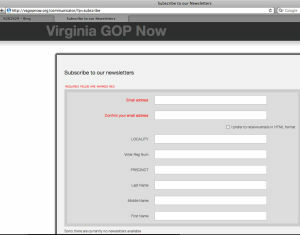 In any case they are gone, either ran out of people to attack or simply withered away, which is a sign of health in the Virginia GOP.